It’s so nice to have four seasons – I can’t imagine living in Florida. So, here we are in the middle of winter, and despite the recent rains, we have plenty of days to enjoy being outdoors and to appreciate the changeable nature of the Piedmont. There’s no better place to do that than at the State Botanical Garden – what a treasure! Until you get out there yourself, enjoy some photographs by Don Hunter, who captured the winter landscape in December when he and I followed shade garden curator Joey Allen on a little tour. 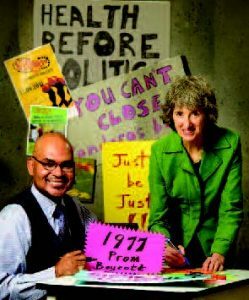 Our cover story profiles several local activists who recall their early engagement with justice issues as teenagers, and have continued to work to make the world a better, fairer place. We’re lucky to have them in Athens – Read Part 1 of Activism: Then and Now. Caregiving will be an ongoing topic in Boom as more and more of us deal with it, either providing care for a loved one, or needing it ourselves. This installment includes looks at troubling trends regarding labor shortages in the home care industry. I’m also proud to share that BoomAthens won two awards of excellence at the North American Mature Publishers Association in October. 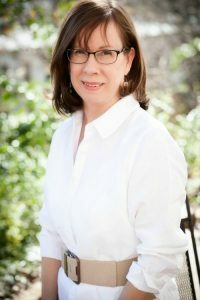 As judged by the Missouri School of Journalism, Boom won in the category Best Personal Essay for Myrna Adams West’s memoir “Letters from Vietnam” in the Spring issue. You can still read it online. And we placed third in General Excellence. Thanks go out to all the freelance and volunteer writers, our volunteer photographer, Larry Petroff, and to our terrific designer, Allyn Jenkins, always patient and good natured. And most especially to our advertisers. And, finally a couple of new features upcoming: The Boomer Directory will allow small, locally owned businesses to afford to advertise to you, the Boomer Consumer, and allow you, our readers, to have a handy guide to wellness providers, yoga studios, chiropractors, restaurants, repair services, even artists, and more. Details on P. 13. PS. We’re trying something in this issue by migrating some of our content online since more of us have gotten (somewhat) comfortable with technology. So, read FYI and Healthy Us at Boomathens.com. I welcome your feedback at editor@boomathens.com. PLUS! We have installed some new automated software for The Calendar for Grown-Ups, which allows us to include many more events than previously. I invite you to submit any from your nonprofit organization that you think would be of interest to the 50 plus crowd. And a shout-out to Cecile Buls for her volunteer effort with the previous software – it was a tedious chore. And thank you for your support of BoomAthens, which is made possible by our advertisers. Please support them. 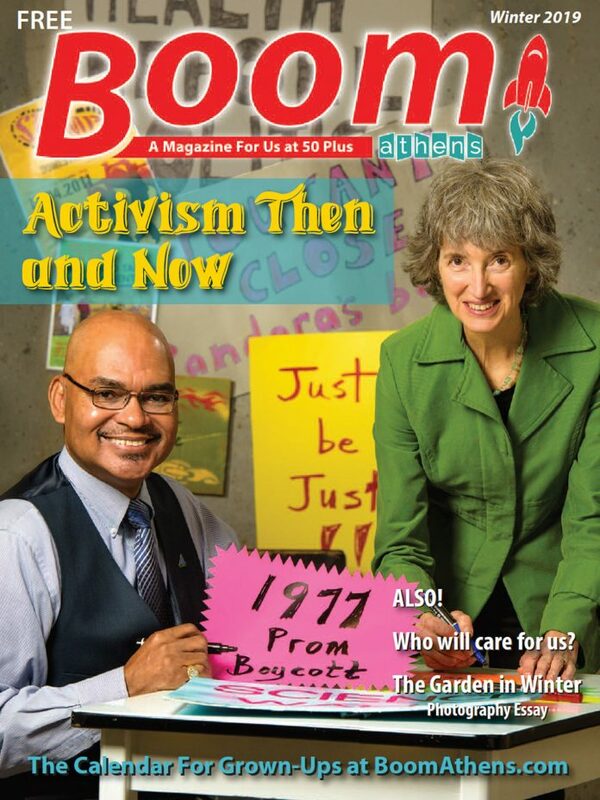 BoomAthens Mission Statement: To create a community of readers by sharing the truths of the Boomer experience, then and now. BoomAthens is published by BoomAthens, LLC, a limited liability corporation. Contents copyright 2019 © BoomAthens, LLC. No part of this publication may be reproduced or transmitted in any form or by any means electronic or mechanical, including photocopy, recording, or any information storage or retrieval system without written permission. BoomAthens is not responsible for statements expressed in signed articles or advertising claims. For advertising information: email ads@boomathens.com or call 256 454 4595.